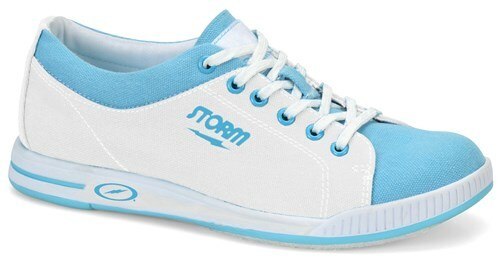 The Storm Women's Meadow bowling shoe is made of cotton canvas material that is lightweight and cool. As part of Storm's comfort casual line of bowling shoes this shoe has a modern design on the outside while offering comfort on the inside. These shoes will help you stay on your feet longer! can I get this shoe in a medium width ? Hi! These shoes have a regular width. The regular width is a B width. Due to the time it takes to produce the Storm Womens Meadow White/Blue ball it will ship in 2 bus. days. We cannot ship this ball outside the United States.